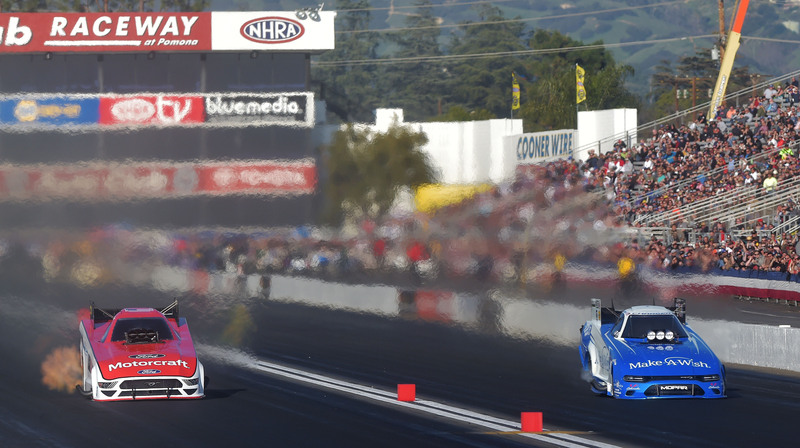 Defending Amusing Car champion J.R. Todd (left) certifies against Robert Hight (ideal) throughout the opening round of certifying on the opening day of the professional season at the 59th yearly NHRA Winternationals at Vehicle Club Raceway at Pomona on Friday, February 8, 2019. Hight is presently the leading qualifier. Pro certifying continues Saturday with eliminations arranged for Sunday. (Image by Will Lester, Inland Valley Daily Bulletin/SCNG). 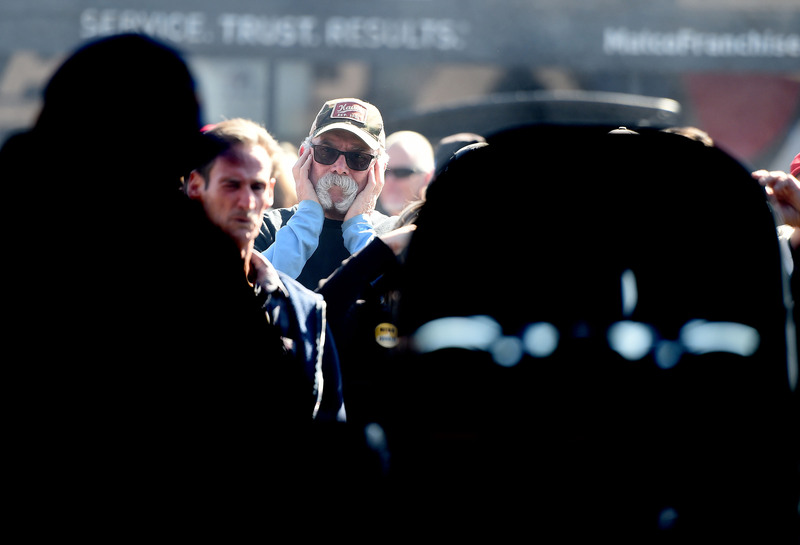 Funny Vehicle motorist John Force does his exhaustion during the very first round of certifying on the opening day of the pro period at the 59th annual NHRA Winternationals at Car Club Raceway at Pomona on Friday, February 8, 2019. Pro certifying proceeds Saturday with removals set up for Sunday. (Photo by Will Lester, Inland Valley Daily Bulletin/SCNG). 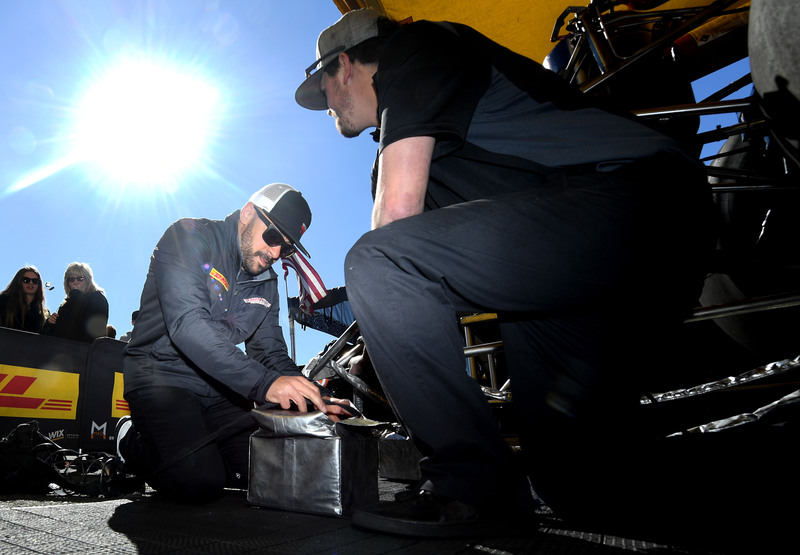 Amusing Automobile driver Matt Hagan prepares to obtain in his warm rod prior to the preliminary of certifying on the opening day of the professional season at the 59th annual NHRA Winternationals at Vehicle Club Raceway at Pomona on Friday, February 8, 2019. Pro qualifying continues Saturday with removals set up for Sunday. (Image by Will Lester, Inland Valley Daily Bulletin/SCNG). 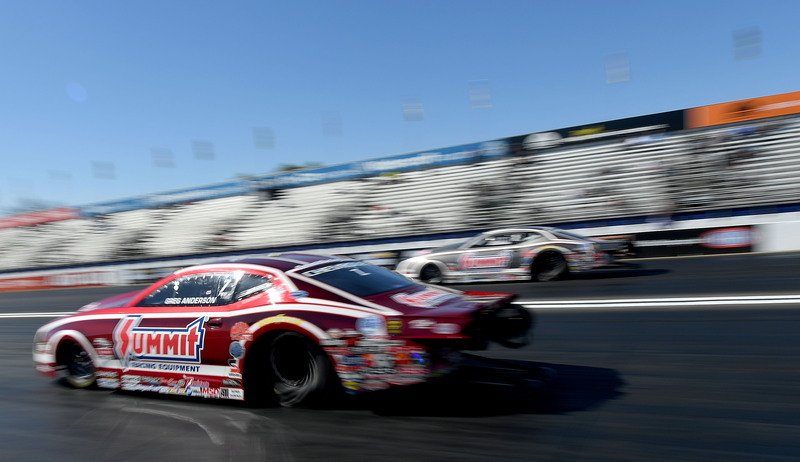 Pro Stock driver Greg Anderson heads down track throughout the very first round of qualifying on the opening day of the professional period at the 59th annual NHRA Winternationals at Auto Club Raceway at Pomona on Friday, February 8, 2019. Pro certifying continues Saturday with eliminations arranged for Sunday. (Image by Will Lester, Inland Valley Daily Bulletin/SCNG). Pro Stock motorist Bo Butner heads down track during the preliminary of qualifying on the opening day of the professional season at the 59th annual NHRA Winternationals at Vehicle Club Raceway at Pomona on Friday, February 8, 2019. Pro qualifying proceeds Saturday with eliminations scheduled for Sunday. (Picture by Will Lester, Inland Valley Daily Bulletin/SCNG). 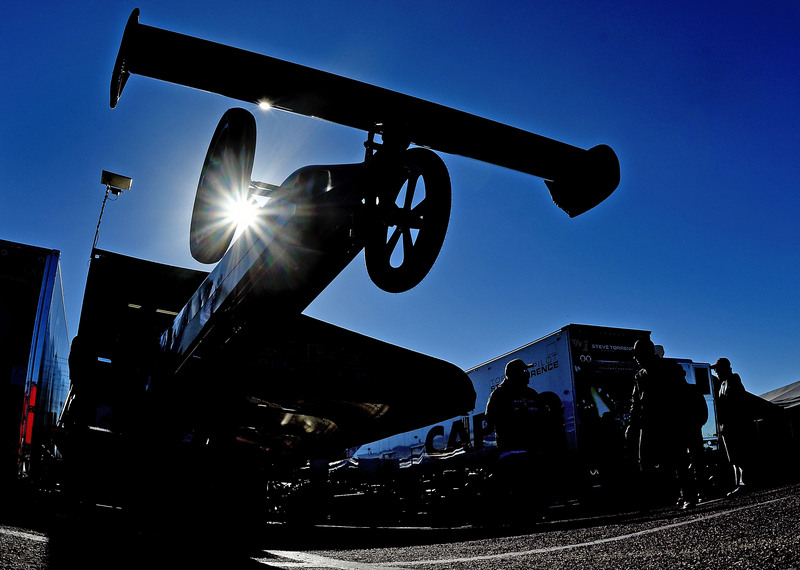 Funny Vehicle motorist Shawn Langdon beings in his racer before the very first round of qualifying on the opening day of the professional season at the 59th yearly NHRA Winternationals at Automobile Club Raceway at Pomona on Friday, February 8, 2019. Pro qualifying proceeds Saturday with eliminations set up for Sunday. (Picture by Will Lester, Inland Valley Daily Bulletin/SCNG). 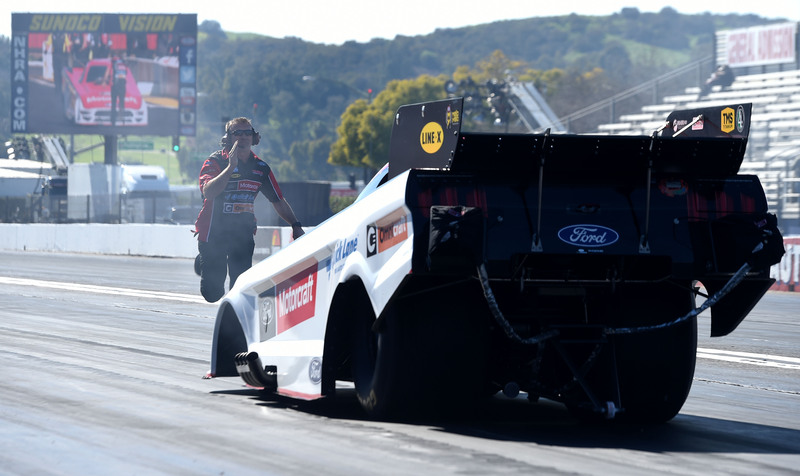 Funny Cars and truck vehicle driver Bob Tasca backs of his racer following his fatigue during the very first round of certifying on the opening day of the pro season at the 59th yearly NHRA Winternationals at Vehicle Club Raceway at Pomona on Friday, February 8, 2019. Pro qualifying proceeds Saturday with removals set up for Sunday. (Picture by Will Lester, Inland Valley Daily Bulletin/SCNG). Pro Stock motorist Alex Laughlin does his fatigue throughout the very first round of certifying on the opening day of the pro season at the 59th yearly NHRA Winternationals at Automobile Club Raceway at Pomona on Friday, February 8, 2019. Pro certifying proceeds Saturday with removals scheduled for Sunday. (Image by Will Lester, Inland Valley Daily Bulletin/SCNG). 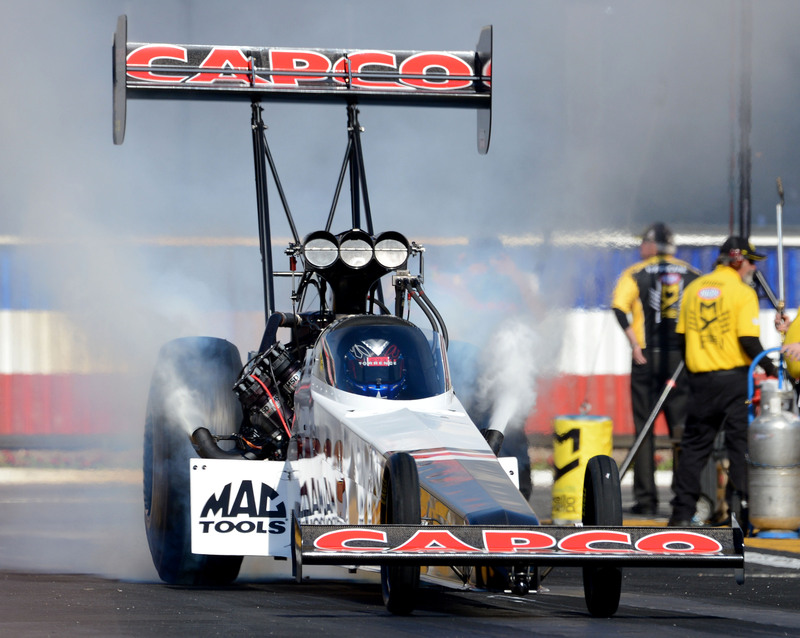 Safeguarding Top Fuel champion Steve Torrence does his burnout throughout the very first round of qualifying on the opening day of the pro period at the 59th yearly NHRA Winternationals at Vehicle Club Raceway at Pomona on Friday, February 8, 2019. Pro qualifying proceeds Saturday with removals scheduled for Sunday. (Picture by Will Lester, Inland Valley Daily Bulletin/SCNG). 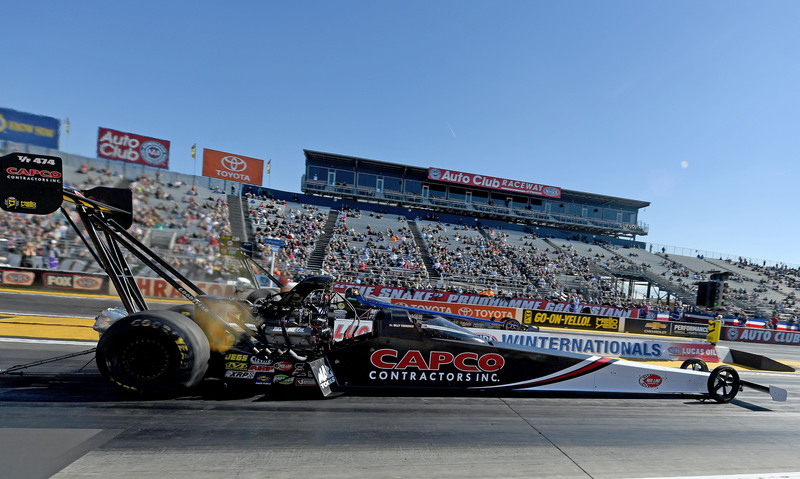 Safeguarding Top Gas champion Steve Torrence does his fatigue throughout the first round of qualifying on the opening day of the professional season at the 59th yearly NHRA Winternationals at Automobile Club Raceway at Pomona on Friday, February 8, 2019. Pro qualifying proceeds Saturday with removals arranged for Sunday. (Image by Will Lester, Inland Valley Daily Bulletin/SCNG). 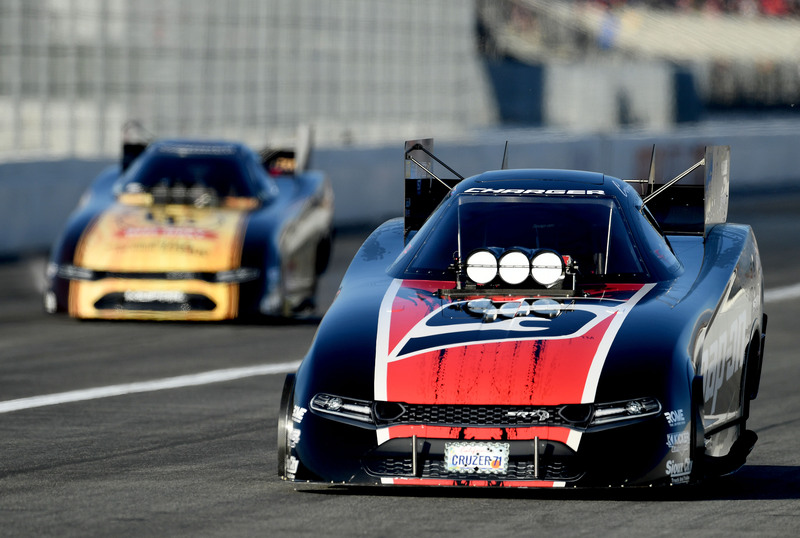 Top Gas newbie Austin Prock heads down track throughout the preliminary of certifying on the opening day of the professional period at the 59th annual NHRA Winternationals at Vehicle Club Raceway at Pomona on Friday, February 8, 2019. Pro certifying proceeds Saturday with removals scheduled for Sunday. (Picture by Will Lester, Inland Valley Daily Bulletin/SCNG). 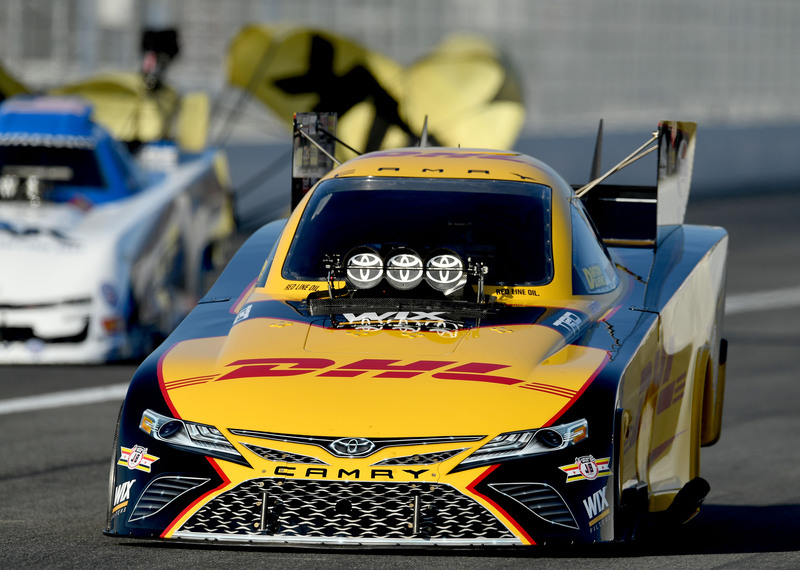 Top Fuel chauffeur Terry McMillen (left) heads down track during the 2nd round of certifying on the opening day of the pro season at the 59th annual NHRA Winternationals at Automobile Club Raceway at Pomona on Friday, February 8, 2019. Pro qualifying continues Saturday with eliminations set up for Sunday. (Image by Will Lester, Inland Valley Daily Bulletin/SCNG). 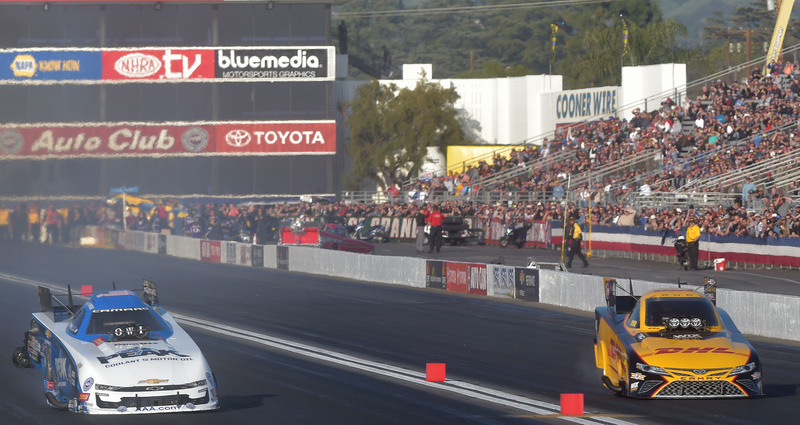 Amusing Automobile vehicle drivers Bob Tasca races against Tommy Johnson Jr. throughout qualifying on the opening day of the professional period at the 59th annual NHRA Winternationals at Auto Club Raceway at Pomona on Friday, February 8, 2019. Pro qualifying continues Saturday with removals scheduled for Sunday. (Picture by Will Lester, Inland Valley Daily Bulletin/SCNG). 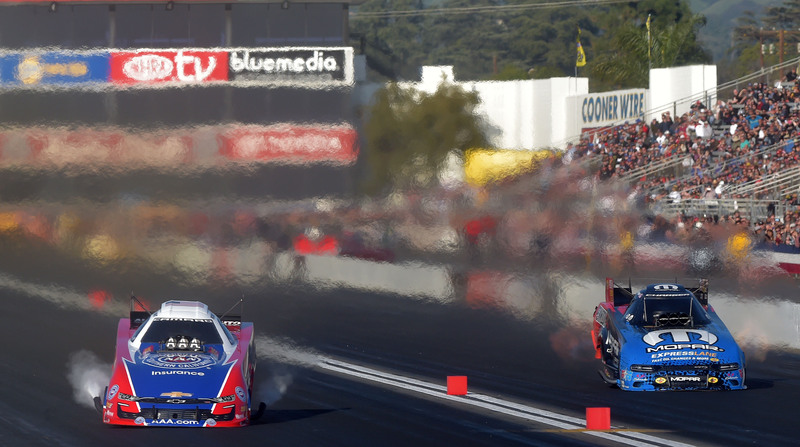 Funny Car motorist Robert Hight (left), as well as the top qualifier, races to the top qualifying setting as he heads down track against Matt Hagan throughout the 2nd round of certifying on the opening day of the professional season at the 59th annual NHRA Winternationals at Automobile Club Raceway at Pomona on Friday, February 8, 2019. Pro certifying continues Saturday with removals set up for Sunday. (Picture by Will Lester, Inland Valley Daily Bulletin/SCNG). 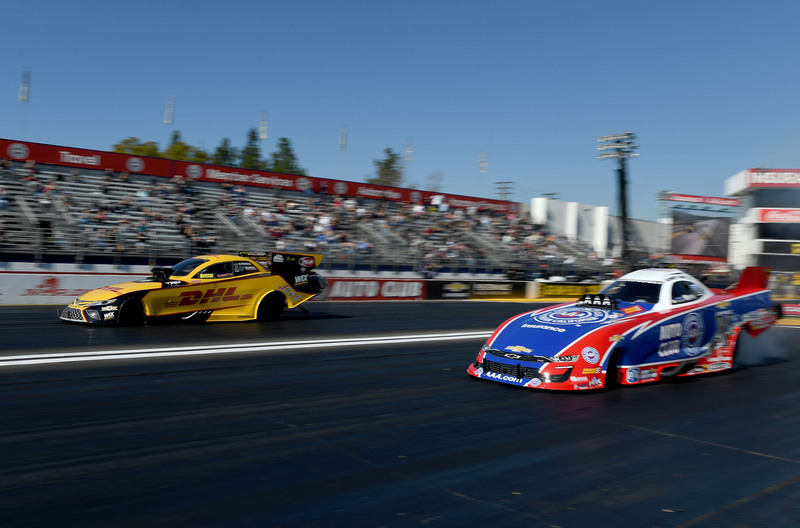 Funny Auto driver Robert Hight (left), as well as the top qualifier, races to the leading certifying placement as he heads down track versus Matt Hagan during the second round of certifying on the opening day of the professional period at the 59th annual NHRA Winternationals at Car Club Raceway at Pomona on Friday, February 8, 2019. Pro qualifying continues Saturday with removals set up for Sunday. (Picture by Will Lester, Inland Valley Daily Bulletin/SCNG). 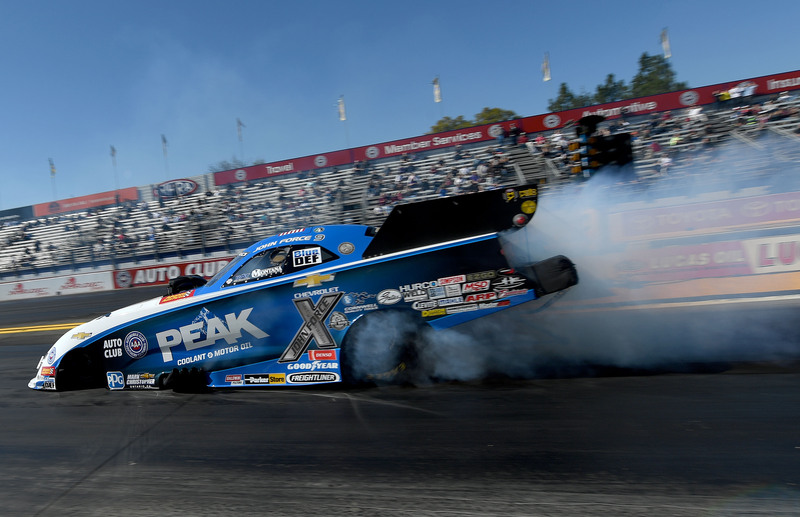 Amusing Cars and truck motorists John Force races versus J.R. Todd during the second round of qualifying on the opening day of the pro period at the 59th annual NHRA Winternationals at Auto Club Raceway at Pomona on Friday, February 8, 2019. Pro certifying proceeds Saturday with eliminations arranged for Sunday. (Photo by Will Lester, Inland Valley Daily Bulletin/SCNG). 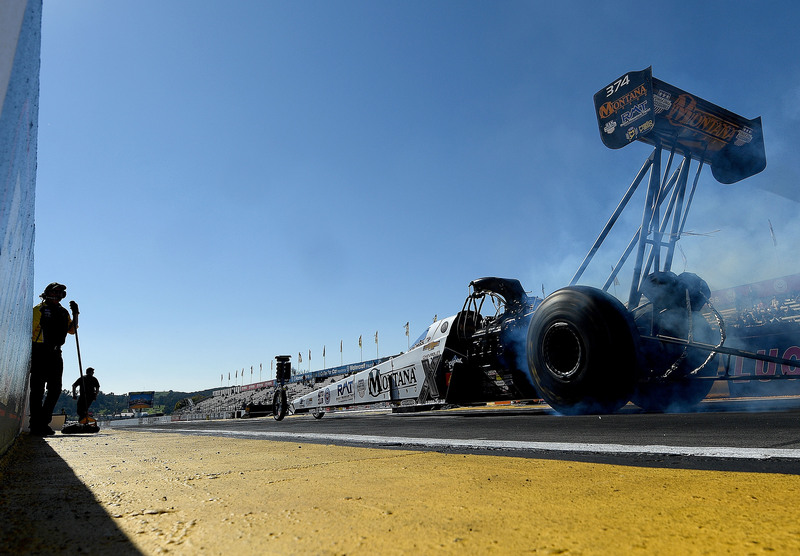 Top Fuel novice Austin Prock heads through the closure area during the 2nd round of certifying on the opening day of the pro season at the 59th yearly NHRA Winternationals at Auto Club Raceway at Pomona on Friday, February 8, 2019. Pro certifying continues Saturday with removals scheduled for Sunday. (Photo by Will Lester, Inland Valley Daily Bulletin/SCNG). 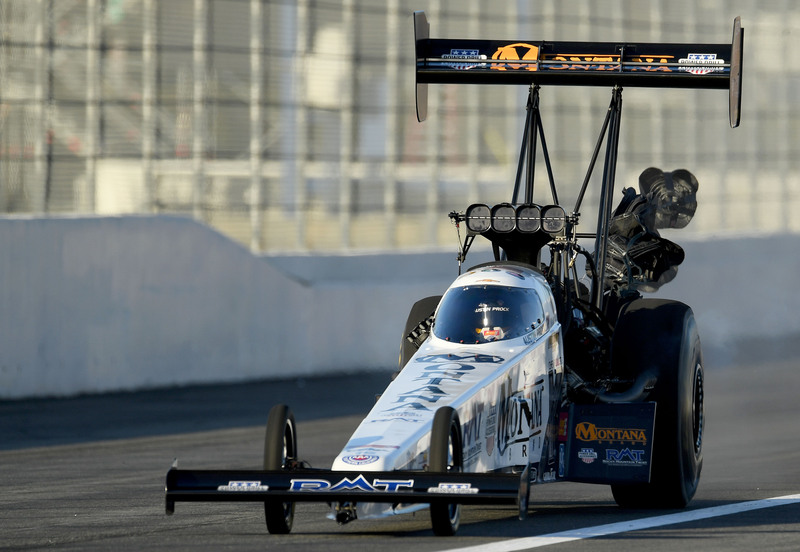 Top Fuel driver Brittany Pressure trips back to the pits adhering to the 2nd round of certifying on the opening day of the professional season at the 59th annual NHRA Winternationals at Auto Club Raceway at Pomona on Friday, February 8, 2019. Pro qualifying continues Saturday with eliminations set up for Sunday. (Picture by Will Lester, Inland Valley Daily Bulletin/SCNG). 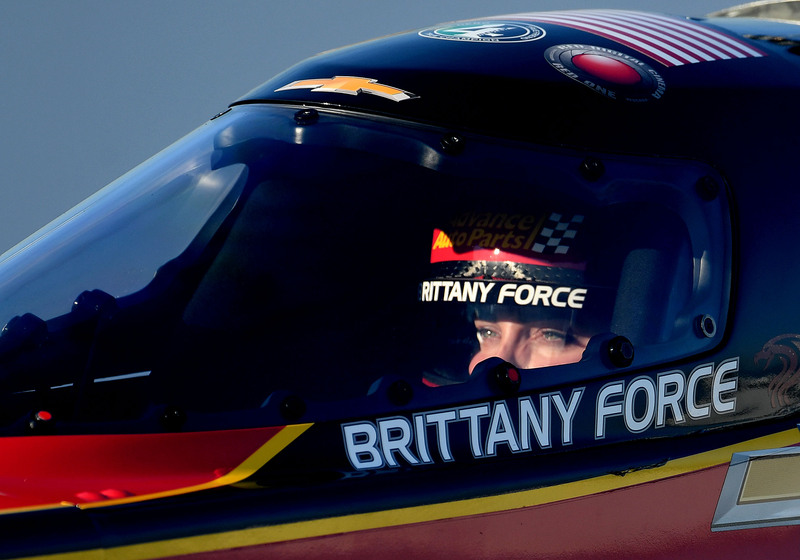 Leading Fuel motorist Brittany Pressure heads through the closure area throughout the 2nd round of certifying on the opening day of the professional period at the 59th yearly NHRA Winternationals at Vehicle Club Raceway at Pomona on Friday, February 8, 2019. Pro qualifying continues Saturday with removals set up for Sunday. (Image by Will Lester, Inland Valley Daily Bulletin/SCNG). 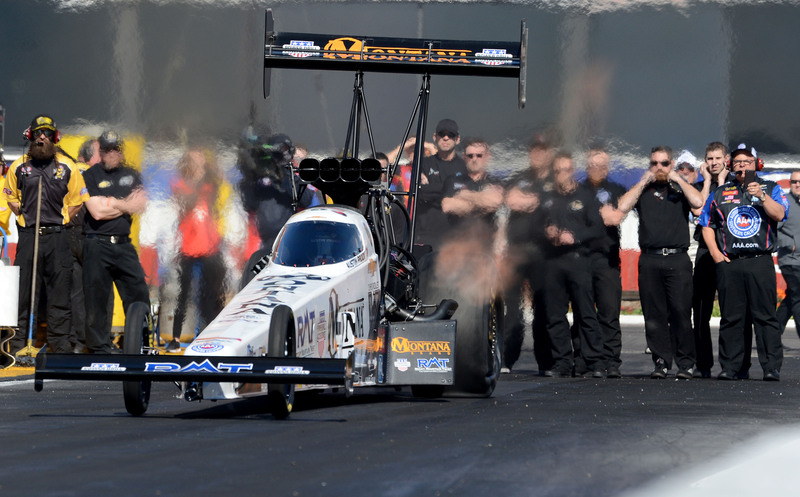 Leading Fuel motorist Antron Brown heads with the closure location throughout the second round of certifying on the opening day of the professional season at the 59th annual NHRA Winternationals at Vehicle Club Raceway at Pomona on Friday, February 8, 2019. Pro qualifying proceeds Saturday with removals arranged for Sunday. (Picture by Will Lester, Inland Valley Daily Bulletin/SCNG). 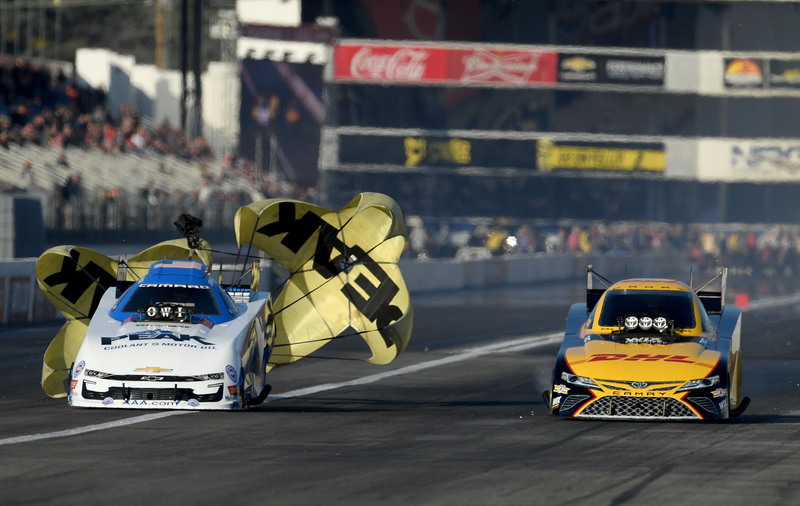 Amusing Car chauffeur John Force (left) draws ls his parachutes in the shutdown area as he races versus J.R. Todd throughout the 2nd round of certifying on the opening day of the pro period at the 59th annual NHRA Winternationals at Vehicle Club Raceway at Pomona on Friday, February 8, 2019. Pro qualifying proceeds Saturday with removals set up for Sunday. (Picture by Will Lester, Inland Valley Daily Bulletin/SCNG). 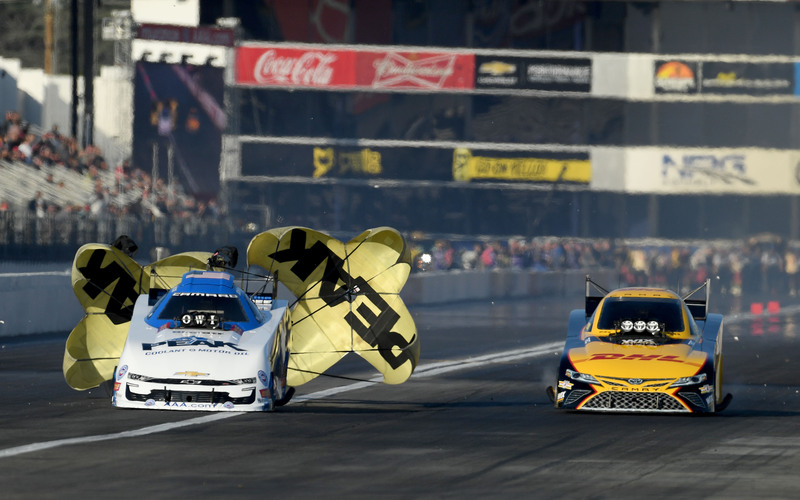 Amusing Auto driver John Pressure (left) pulls ls his parachutes in the closure area as he races versus J.R. Todd throughout the 2nd round of certifying on the opening day of the pro season at the 59th yearly NHRA Winternationals at Vehicle Club Raceway at Pomona on Friday, February 8, 2019. Pro certifying continues Saturday with eliminations arranged for Sunday. (Image by Will Lester, Inland Valley Daily Bulletin/SCNG). 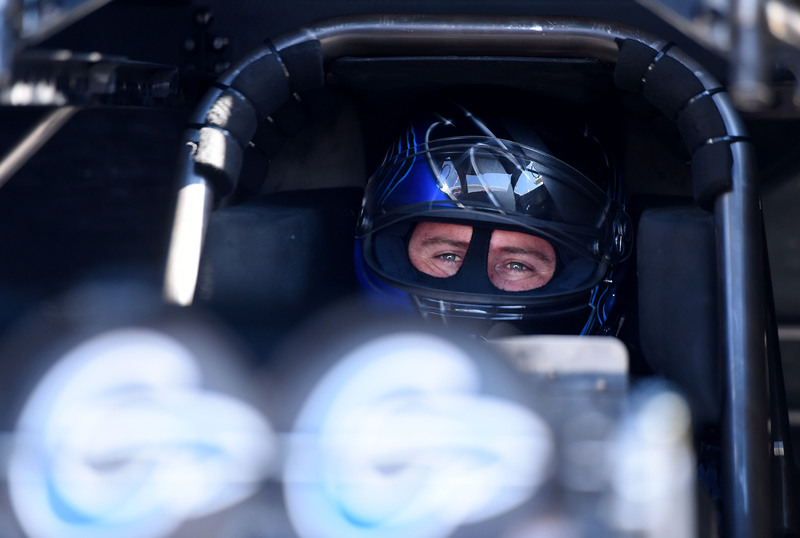 Safeguarding Funny Car champion J.R. Todd head with the closure area during the second round of qualifying on the opening day of the professional season at the 59th annual NHRA Winternationals at Auto Club Raceway at Pomona on Friday, February 8, 2019. 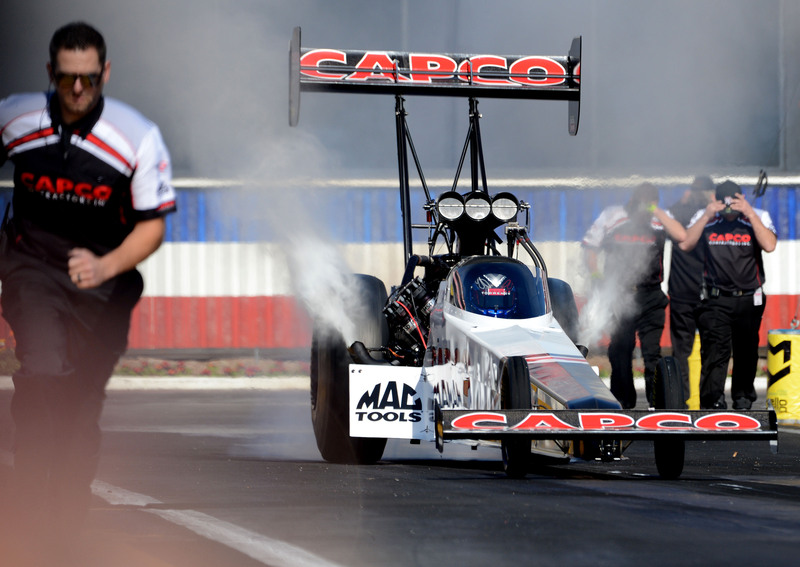 Pro qualifying continues Saturday with eliminations set up for Sunday. (Picture by Will Lester, Inland Valley Daily Bulletin/SCNG). 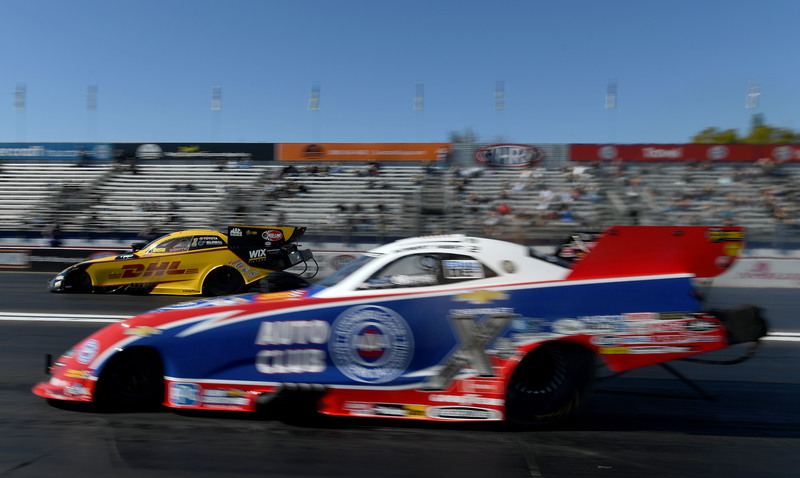 Amusing Cars and truck vehicle driver Cruz Pedregon (right) and also James Campbell head via the closure location during the 2nd round of qualifying on the opening day of the pro period at the 59th yearly NHRA Winternationals at Auto Club Raceway at Pomona on Friday, February 8, 2019. Pro certifying continues Saturday with removals scheduled for Sunday. (Image by Will Lester, Inland Valley Daily Bulletin/SCNG). Funny Automobile motorist Tommy Johnson Jr. draws his parachutes in the closure location throughout the second round of certifying on the opening day of the professional period at the 59th annual NHRA Winternationals at Car Club Raceway at Pomona on Friday, February 8, 2019. Pro certifying continues Saturday with eliminations set up for Sunday. (Photo by Will Lester, Inland Valley Daily Bulletin/SCNG). 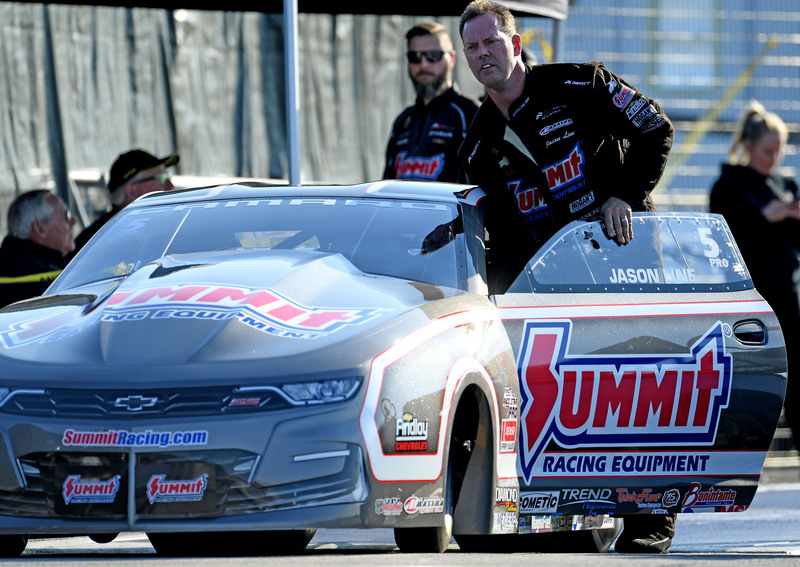 Pro Stock vehicle driver Jason Line pushes his automobile throughout the weight ranges following the second round of qualifying on the opening day of the professional season at the 59th yearly NHRA Winternationals at Car Club Raceway at Pomona on Friday, February 8, 2019. Pro qualifying continues Saturday with removals scheduled for Sunday. (Photo by Will Lester, Inland Valley Daily Bulletin/SCNG). 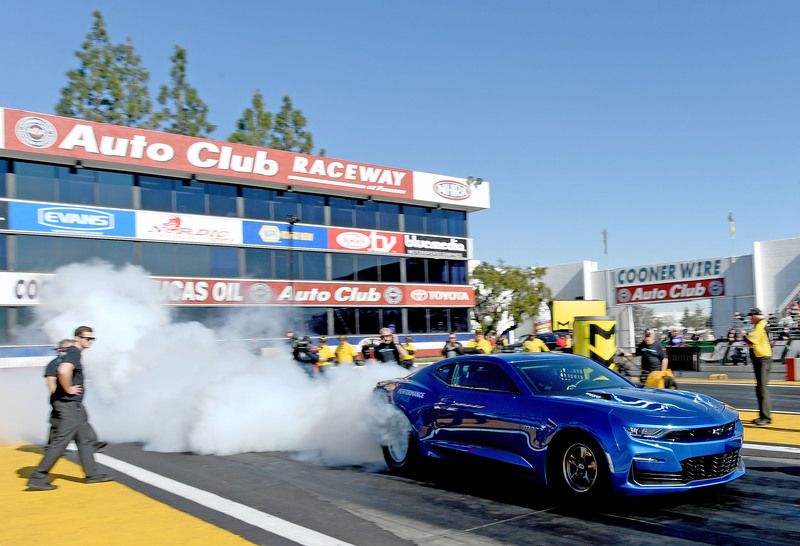 An electrical powered Chevy Camaro does a burnout on the opening day of the pro season at the 59th yearly NHRA Winternationals at Auto Club Raceway at Pomona on Friday, February 8, 2019. Pro certifying continues Saturday with removals scheduled for Sunday. (Picture by Will Lester, Inland Valley Daily Bulletin/SCNG). 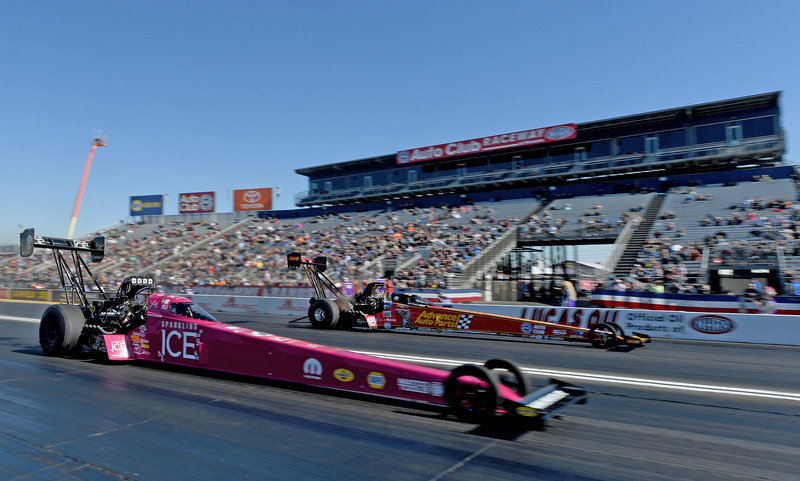 Leading Fuel motorists Leah Pritchett and also Brittany Pressure head down track during the initial round of qualifying on the opening day of the professional period at the 59th annual NHRA Winternationals at Vehicle Club Raceway at Pomona on Friday, February 8, 2019. 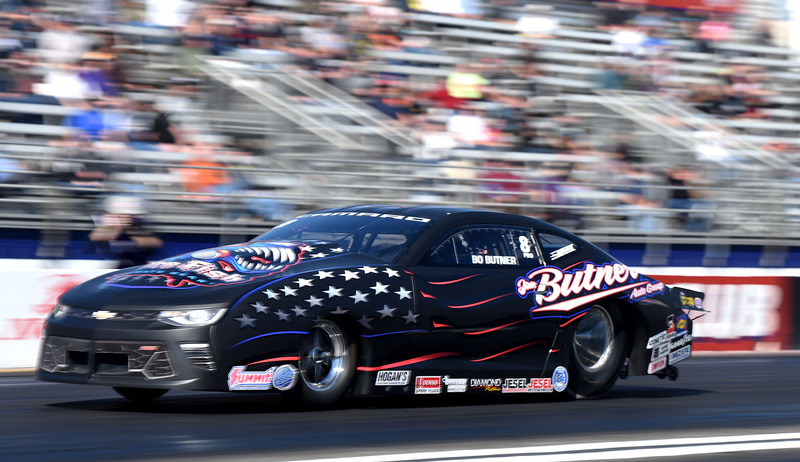 Pro qualifying continues Saturday with eliminations arranged for Sunday. (Photo by Will Lester, Inland Valley Daily Bulletin/SCNG). 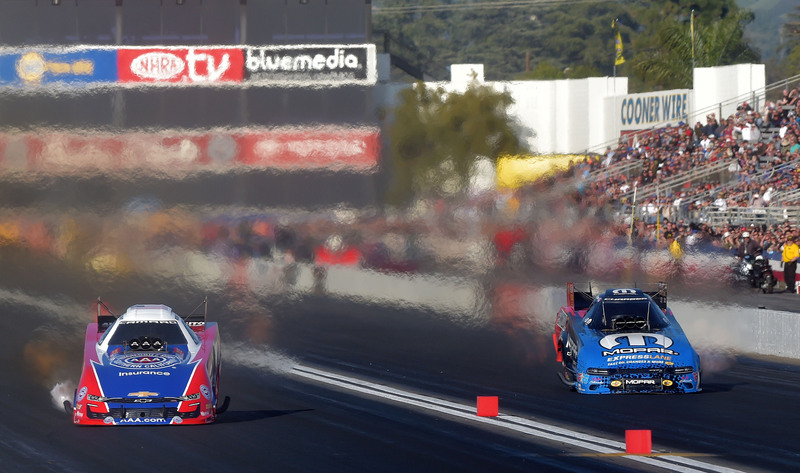 Protecting Amusing Auto champ J.R. Todd (left) qualifies against Robert Hight (ideal) during the opening round of certifying on the opening day of the professional season at the 59th yearly NHRA Winternationals at Auto Club Raceway at Pomona on Friday, February 8, 2019. Hight is currently the top qualifier. Pro certifying proceeds Saturday with removals set up for Sunday. (Picture by Will Lester, Inland Valley Daily Bulletin/SCNG). 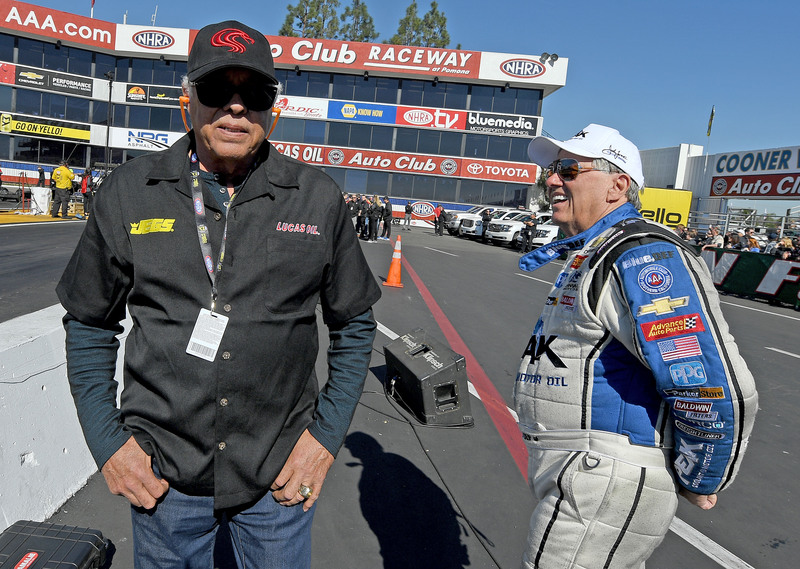 Drag racing legend Don “The Snake” Prudhomme (left) talks with John Pressure during certifying on the opening day of the pro season at the 59th yearly NHRA Winternationals at Automobile Club Raceway at Pomona on Friday, February 8, 2019. Pro certifying proceeds Saturday with eliminations set up for Sunday. (Image by Will Lester, Inland Valley Daily Bulletin/SCNG). Leading Fuel novice Austin Prock does his fatigue throughout the preliminary of certifying on the opening day of the pro period at the 59th annual NHRA Winternationals at Auto Club Raceway at Pomona on Friday, February 8, 2019. Pro certifying proceeds Saturday with eliminations scheduled for Sunday. (Image by Will Lester, Inland Valley Daily Bulletin/SCNG). Defending Top Gas champ, and top qualifier, Steve Torrence heads down track throughout the preliminary of qualifying on the opening day of the professional season at the 59th annual NHRA Winternationals at Automobile Club Raceway at Pomona on Friday, February 8, 2019. Pro qualifying proceeds Saturday with eliminations set up for Sunday. (Photo by Will Lester, Inland Valley Daily Bulletin/SCNG). Defending Amusing Auto champion J.R. Todd loads his parachutes prior to the first round of qualifying on the opening day of the pro season at the 59th annual NHRA Winternationals at Automobile Club Raceway at Pomona on Friday, February 8, 2019. Pro certifying continues Saturday with eliminations scheduled for Sunday. (Photo by Will Lester, Inland Valley Daily Bulletin/SCNG). 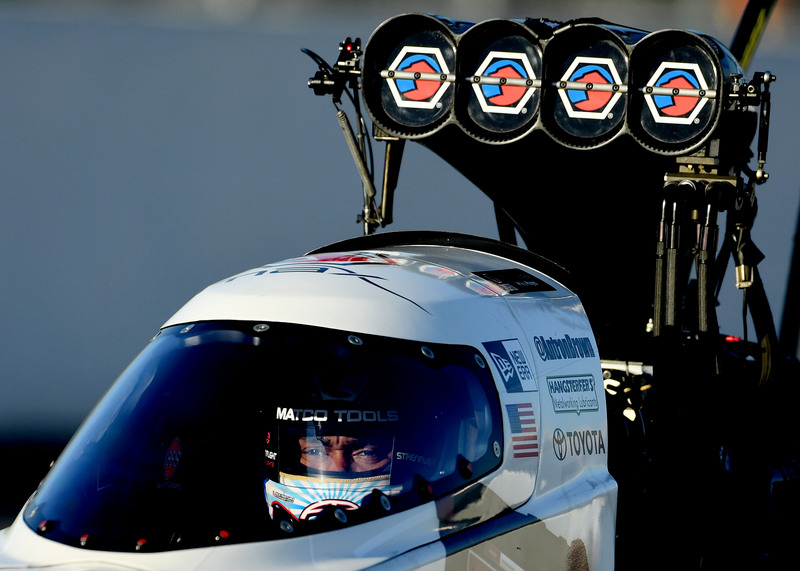 Amusing Vehicle driver Shawn Langdon takes his ear plugs out after warming up his 11,000 hp racer on the opening day of the pro season at the 59th yearly NHRA Winternationals at Automobile Club Raceway at Pomona on Friday, February 8, 2019. Pro qualifying proceeds Saturday with removals scheduled for Sunday. (Photo by Will Lester, Inland Valley Daily Bulletin/SCNG). 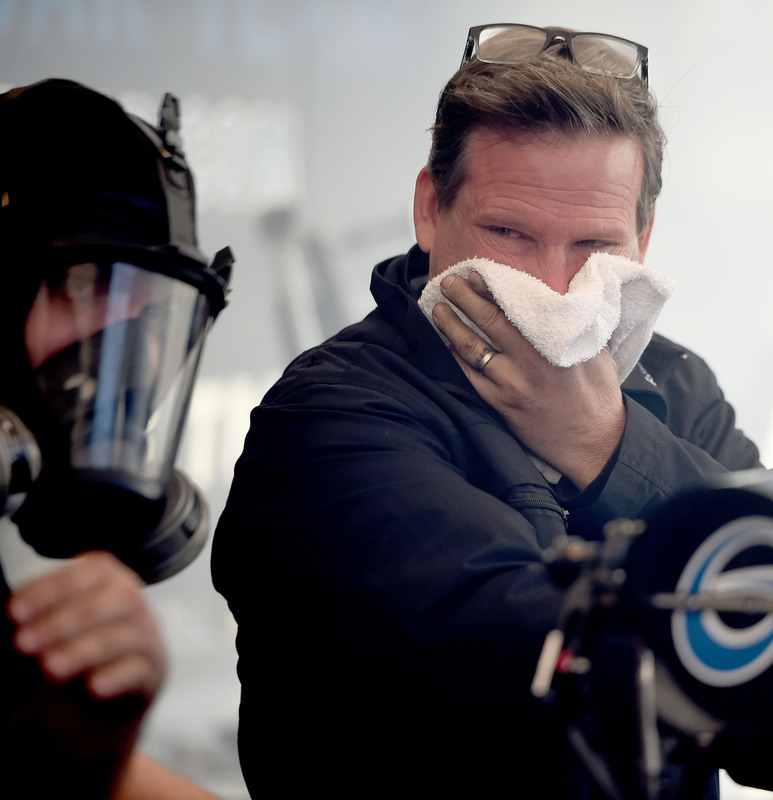 Del Worsham, staff chief for Funny Cars and truck vehicle driver Shawn Langdon, holds a towel over his face as nitromethane swirls about as Langdon heats up his 11,000 hp racer on the opening day of the professional season at the 59th annual NHRA Winternationals at Automobile Club Raceway at Pomona on Friday, February 8, 2019. 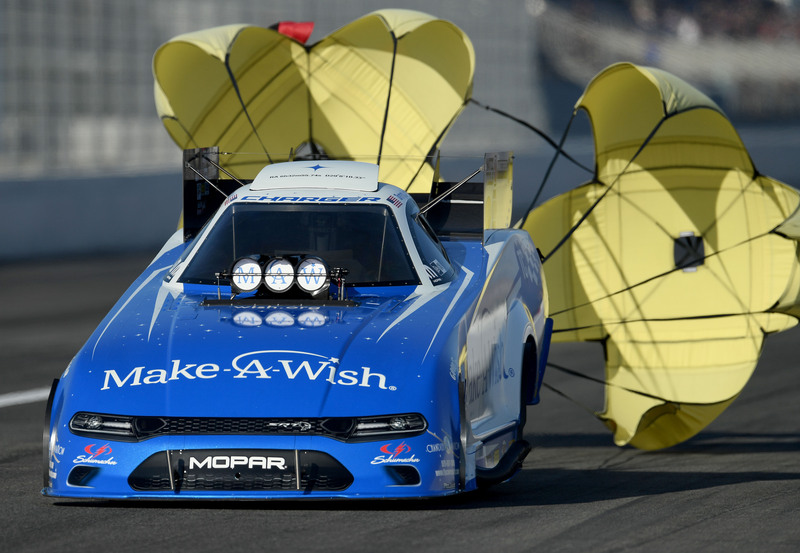 Pro qualifying continues Saturday with eliminations arranged for Sunday. (Image by Will Lester, Inland Valley Daily Bulletin/SCNG). 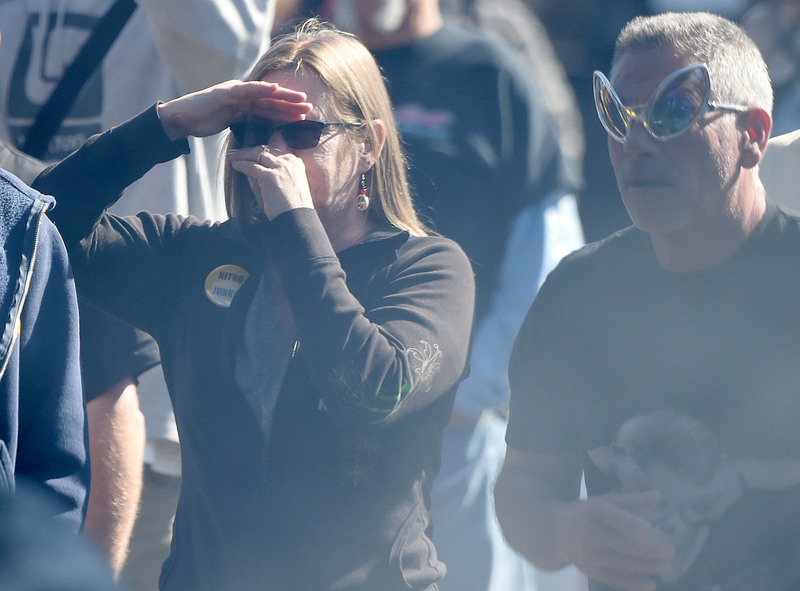 A race follower holds her nose as the fumes of nitromethane swirl around her on the opening day of the pro season at the 59th annual NHRA Winternationals at Automobile Club Raceway at Pomona on Friday, February 8, 2019. Pro qualifying proceeds Saturday with removals set up for Sunday. (Picture by Will Lester, Inland Valley Daily Bulletin/SCNG). 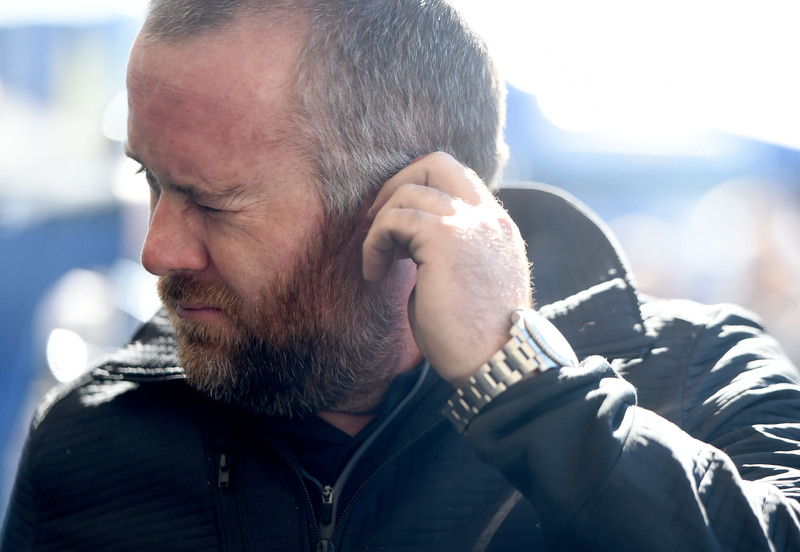 A race fan holds his ears as Ron Capps warms up his 11,000 hp hot pole in the pits on the opening day of the pro period at the 59th annual NHRA Winternationals at Automobile Club Raceway at Pomona on Friday, February 8, 2019. Pro certifying continues Saturday with eliminations scheduled for Sunday. (Photo by Will Lester, Inland Valley Daily Bulletin/SCNG). 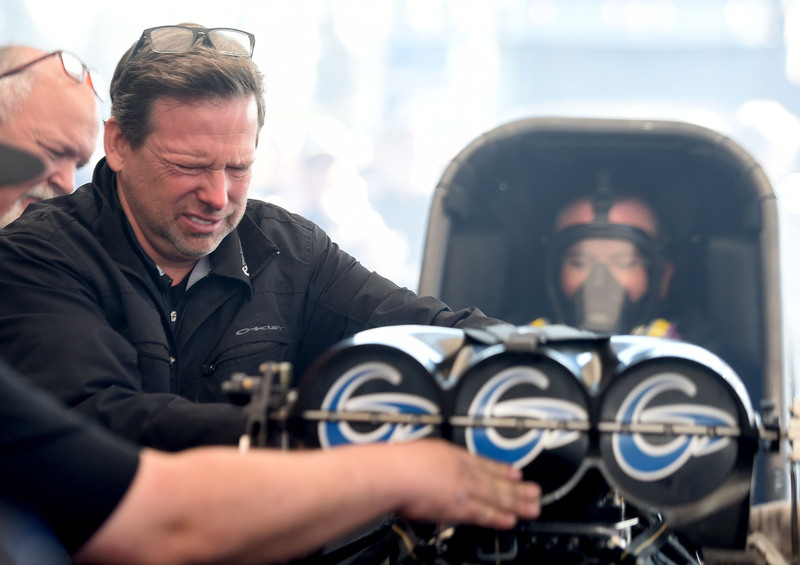 Safeguarding Amusing Automobile champion J.R. Todd prepares to warm up his 11,000 hp racer in the pits on the opening day of the pro season at the 59th yearly NHRA Winternationals at Auto Club Raceway at Pomona on Friday, February 8, 2019. Pro qualifying proceeds Saturday with removals scheduled for Sunday. (Image by Will Lester, Inland Valley Daily Bulletin/SCNG). 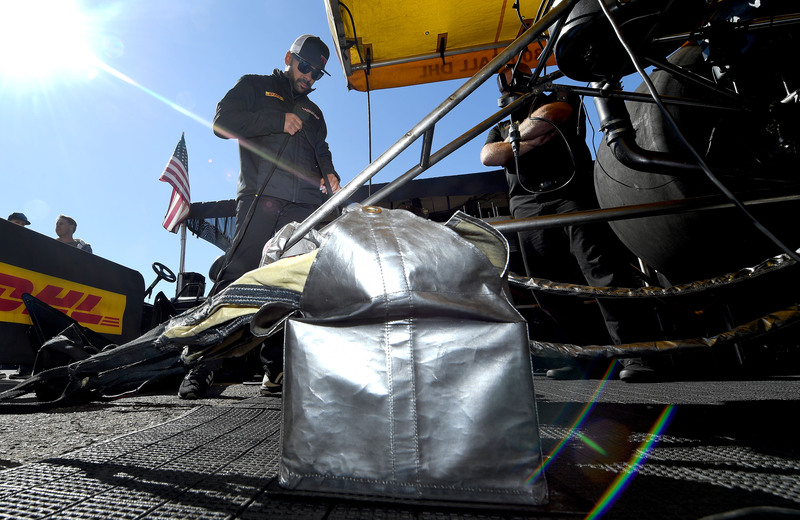 Safeguarding Amusing Vehicle champ J.R. Todd (left) loads his parachutes prior to the initial round of qualifying on the opening day of the professional period at the 59th annual NHRA Winternationals at Auto Club Raceway at Pomona on Friday, February 8, 2019. Pro certifying proceeds Saturday with removals arranged for Sunday. (Image by Will Lester, Inland Valley Daily Bulletin/SCNG). Del Worsham (left), crew chief for Funny Automobile vehicle driver Shawn Langdon (ideal), grimaces as nitromethane burns his eyes as Langdon heats up his 11,000 hp warm pole in the pits on the opening day of the pro period at the 59th annual NHRA Winternationals at Auto Club Raceway at Pomona on Friday, February 8, 2019. Pro certifying proceeds Saturday with eliminations arranged for Sunday. (Picture by Will Lester, Inland Valley Daily Bulletin/SCNG). 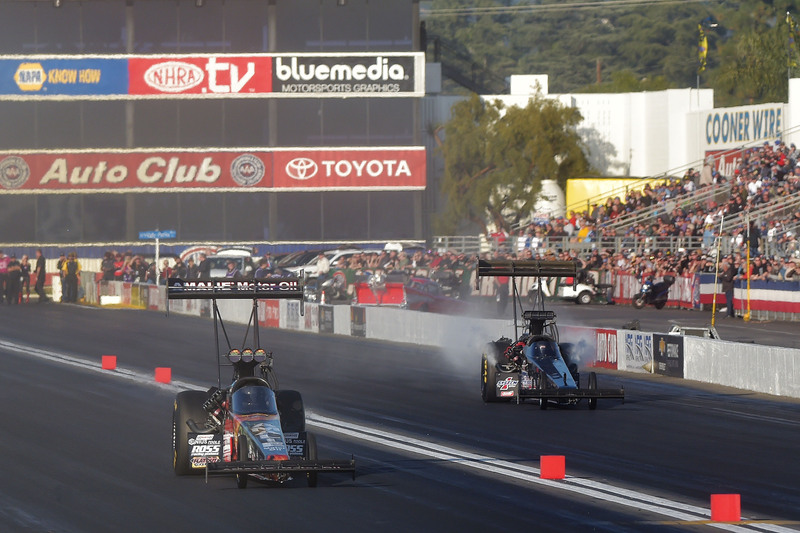 The staff of safeguarding Leading Gas champion Steve Torrence eliminate his dragster from its hauler on the opening day of the pro period at the 59th yearly NHRA Winternationals at Vehicle Club Raceway at Pomona on Friday, February 8, 2019. Pro qualifying continues Saturday with eliminations set up for Sunday. (Image by Will Lester, Inland Valley Daily Bulletin/SCNG).